A present for both mum and baby in 1! This item comes gift wrapped in cellophane and tied with a bow at no extra charge, so it's ready to be gifted. 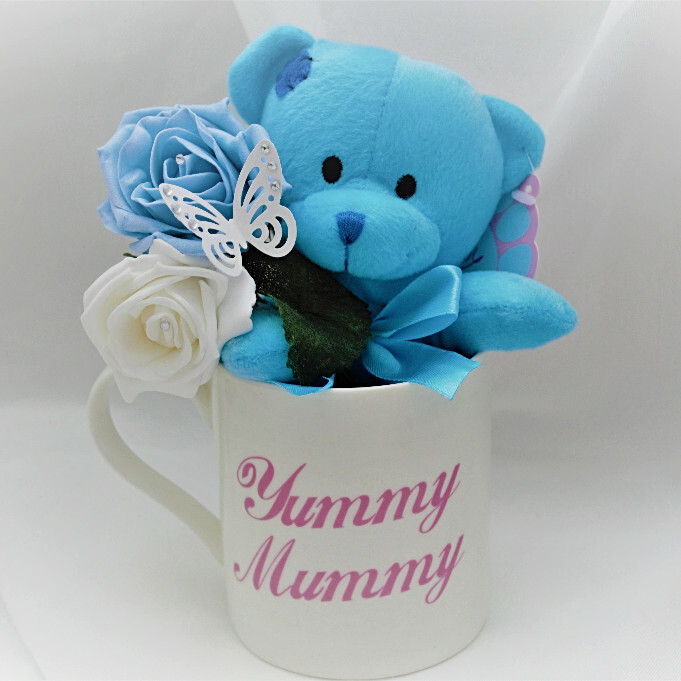 A gorgeous soft teddy for baby and a yummy mummy mug for mummy. 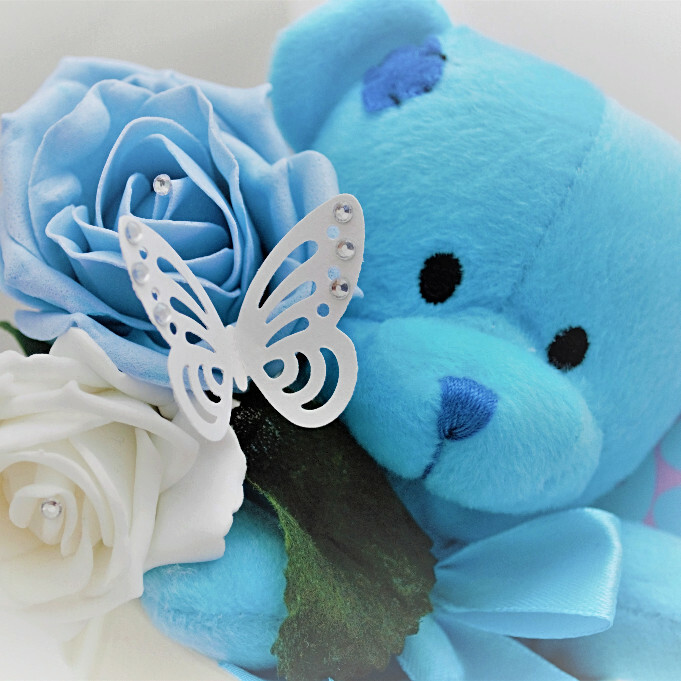 Perfect small gift for a baby shower or newborn baby boy.